It’s all about 3D in the final lesson of our 10-part After Effects Fundamentals course. We’ve arrived at lesson 10 of our 10 part Adobe After Effects Fundamentals course. In the last few updates, namely CS5.5 to CS6, Adobe After Effects has completely changed in the way users work with 3D. Normally users would treat After Effects compositions as though they were layers of paper, stacked on top of each other, void of any realistic 3D qualities. Want to learn more about 3D modeling? 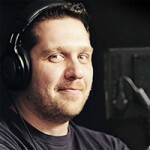 Check out the Cinema 4D section of our blog. This was the final installment of our 10-part Adobe After Effects Fundamentals Course. 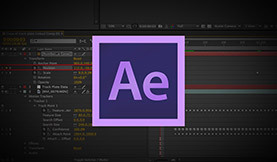 Hopefully you now feel ready to begin designing and compositing in Adobe After Effects. If you want to learn more techniques, explore more After Effects tutorials here on the Premiumbeat blog, read the latest filmmaking news, and pick up some post-production tricks! Having trouble tracking in After Effects? Have any questions? Have you enjoyed this course? Let us know in the comments below.